Christmas is right around the corner. As soon as the holiday ends, stores will be having deep discounts on decorations. 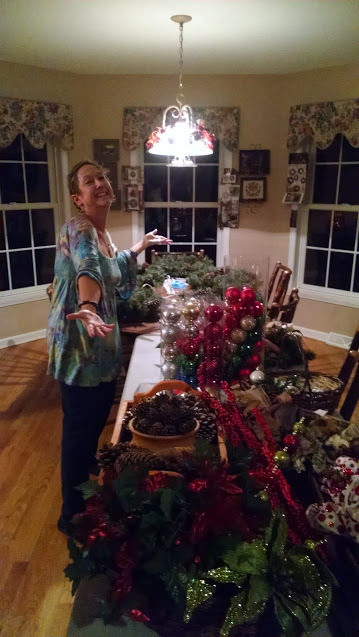 My good (and forward-thinking) friend, Ellen, was smart enough to snap up a bunch of decorations last year. 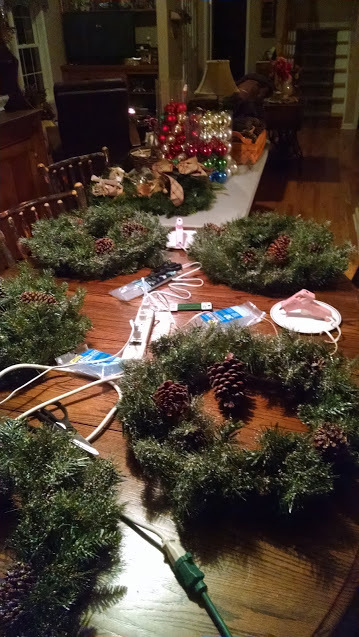 She had a bunch of us over for dinner and to make Christmas wreaths. I love this idea! You could do it for just about any holiday. It’s a great way to connect with friends, create something and have a good time. 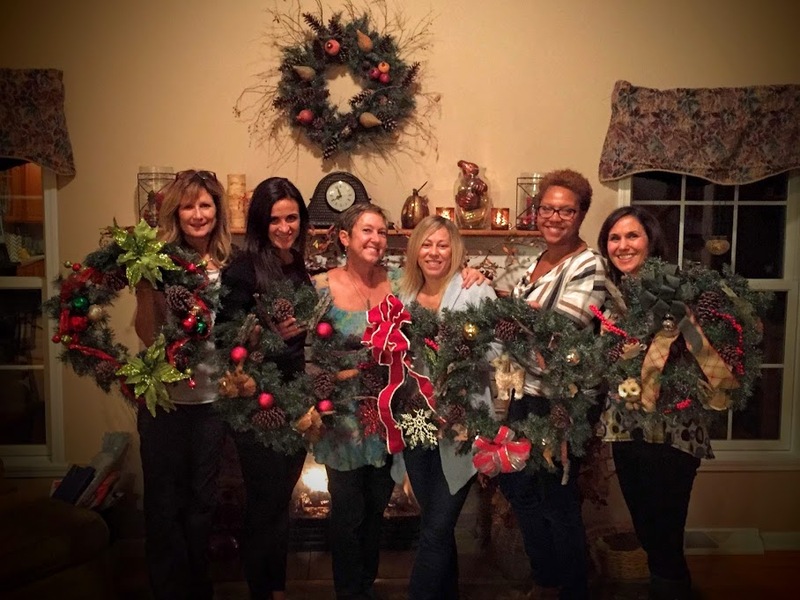 For a successful craft night, it’s a good idea to have a clear theme in mind. 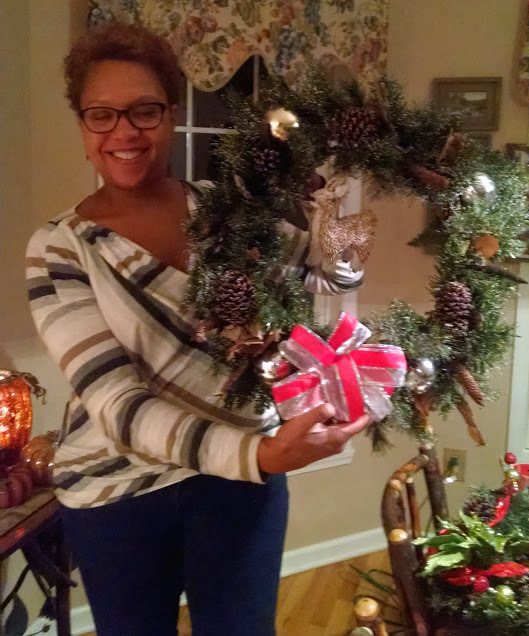 Ellen set up ‘stations’ with all kinds of decorations for our wreaths. 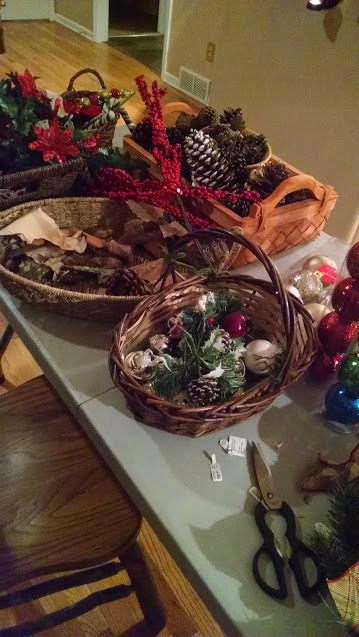 She had baskets full of bark, pine cones, balls, cute little animals, ribbon and more. Another crucial element? Wine. No craft night is complete without wine. Here’s the thing. We’re all so busy that it can be hard to connect. So I heartily recommend planning regular girl time. So here’s to girl’s night!